There are many aspects of a blogger's association with sponsors. The first post BB wrote on Hispanicize 2013 was about pitching- that's the body, the physical. The second post was the fun, the song, the soul. But it's incomplete without the heart. As Babushka's said before, it must be "with heart, from the heart." This post is to thank the sponsors who showed their caring side, the corazon of giving to others because they can and believe sincerely that they should. To believe that one's dreams are attainable, and that one is worthy of those dreams-That is Empowerment. Y eso is what The Adelante Movement tries to instill in Latinas. 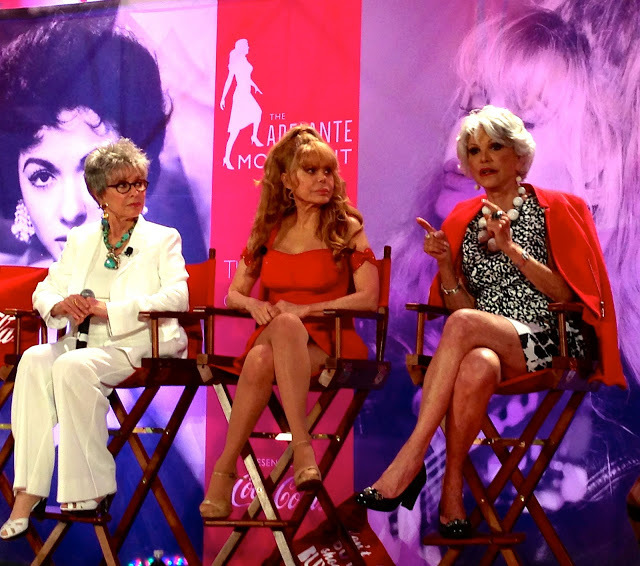 This year we were privileged to hear from "Latina Living Legends". Believe BB when I say this title given to these marvelous mujeres was not in vain. They all came from humble backgrounds, faced adversities and made national/international names for themselves. Everyone in the audience was in awe and in love with all the ladies. Quee?? JU SO FONII!!! Of course I'll show who they were. you can read the fabulous post by mi amiga Ezzy Guerrero-Languzzi who graciously let BB use this picture. 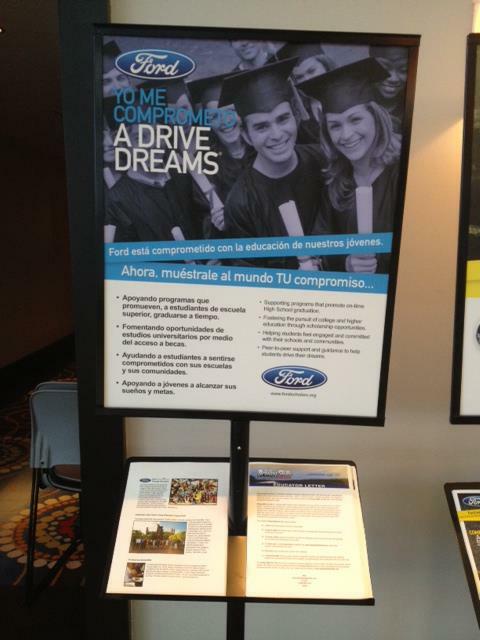 This program is geared to helping young Latinos strive for a better future through education. that address high school dropout prevention in the Latino community"
Next, a little closer to home. In memory and honor of Hispanicize co-founder Louis Pagan, an educational fund was started for his two girls. Not a dry eye was left in the house when P & G announced it would match the starting $5,000 donation for the children. The full article is here. Donations are still accepted and greatly appreciated- https://www.giveforward.com/fundraiser/1972/louispaganmemorialfund . I am Second/ Yo soy Segundo. Especially touching to BB was the video w/Scott Hamilton sharing his story. "The only true disability in life is a bad attitude." mas deberian de tomar el ejemplo. Muy completa la experiencia que viviste. A mi me gusta mucho la labor que realiza Nelly Galán. Felcidades amiga.. The Adelante Movement is awesome. It was truly a touching moment when Louis' family came on stage, let's show them our support! Hola, te conocí a traves de la linky party de Modern Hippie Momma, tu blog es muy bonito e interesante. Besitos desde España. What a great event it always is! Of course it was extra special being we actually spent some time together touring in a bus! FUN TIMES! Que buenos recuerdos de nuestros días en Miami chica! Dan ganas de regresar ya! I can´t wait till next year. Me encanta, ademas lo relatas de una forma que dan ganas de estar en ese lugar! Very cool! Glad you had a blast! 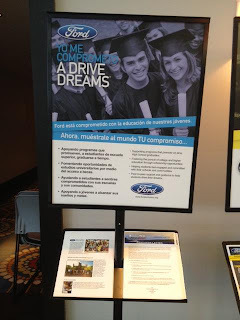 Me emocionó ver tantas buenas causas y proyectos presentes en Hispanicize'13. A apoyarlos a todos! MUAH! BB2U Muchachita- it'll be 2014 soon enough. Que linda sesión de Coca Cola, me la perdi pero ahora se que estuvo sensacional! Gracias por ese recuento de Hispz13 para los que no pudimos ir. Yes, there were plenty of inspiring moments in between the fun we were having.